MUNCIE, Ind. 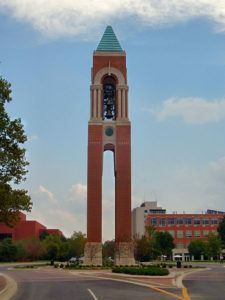 – This week, an influential creation organization delivered a petition to Ball State University officials, urging them to protect the academic freedoms of a controversial science professor out of fears that an investigation into the teacher was “deliberately stacked” against him. Since then, Terry King, BSU provost and vice president of academic affairs, created a special review committee to investigate the situation and determine if Hedin’s teachings are in fact inappropriate. The committee is comprised of four professors—three from BSU, and one from Indiana University. While King recently acknowledged the difficulty of the situation, he is trusting the committee to recommend the best course of action. Though King believes the committee will eventually deliver a fair, objective report, others are not so sure. Representatives of the Discovery Institute—a major think-tank organization devoted to promoting intelligent design—recently delivered a petition to top BSU officials, urging them to defend Hedin’s academic freedom. Well over 7,000 individuals have signed the petition. Thus, West fears the committee’s investigation and official report will be heavily biased, since the members’ beliefs appear to be in sharp contrast with those of Hedin. Discovery Institute’s David Klinghoffer agrees with West, saying that the committee formation was directly influenced by Jerry Coyne, a radical evolutionary atheist who called Hedin “the nutty professor,” and first alerted the Freedom from Religion Foundation about his questionable teaching.